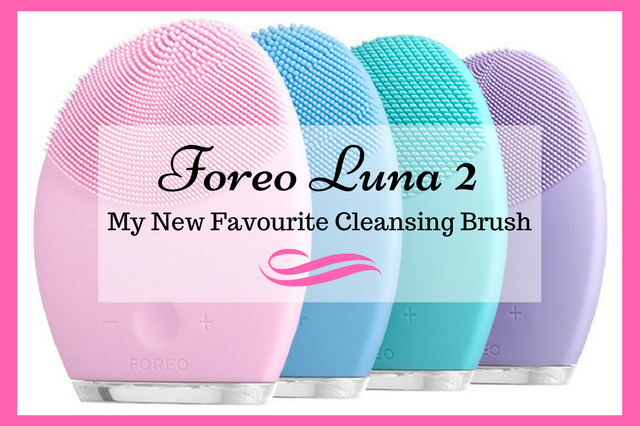 I really wanted to do this Foreo Luna 2 review because, like many other people, I had no idea just how different the Foreo Luna was to other cleansing brushes, in fact, I didn’t even realise it had an anti-aging side to it. 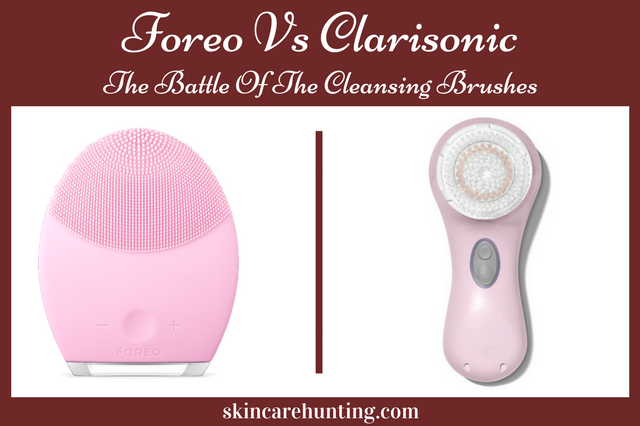 I had already invested in a Clarisonic, which by the way I fell in love with (full review here) but I couldn’t help be wonder how the Foreo Luna compared especially with the added anti-aging feature. 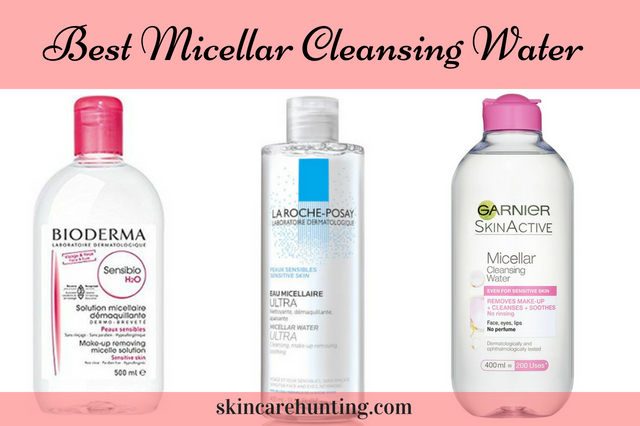 If you’re new to cleansing brushes then I have to say they really are a very effective cleansing tool and once you’ve used one, it’s very hard to go back to regular cleansing. So with that in mind, after numerous days of should I or shouldn’t I, I decided to take the plunge and try out the Luna 2 to see what it had to offer. As I’d never owned a Luna before, I decided to go for the Luna 2 seeing as it was the newest and most popular model and judging by others reviews, an improved version of the original Luna. There are also other options like the Luna Mini 2, the Luna Go or the disposable Luna Play (The disposable Luna Play is for those who want to try it out first before committing to the bigger ones) which are all smaller and cheaper versions but I decided I wanted the full-size version so the Luna 2 it was. One of the things I liked best about the Luna 2 was the fact that there were 4 different version available for different skin types. There is one for combination skin (blue), one for normal skin (pink), one for oily skin (green) and one for sensitive skin (purple) so there really is one for everyone regardless of skin type. Each one comes in a specific colour for each skin type and as my skin is more or less on the normal side, I opted for the pink one. I was actually really excited about getting this because I’d heard so many good things about it and I really liked the way it was designed. When it arrived, I couldn’t wait to break it out of its box and I have to say it is a very cool looking device. It comes with a storage bag and a USB charger so you could charge it right from your PC or laptop if you really wanted to. It was slightly larger than I expected but this wasn’t a bad thing as it’s very comfortable to use and hold. 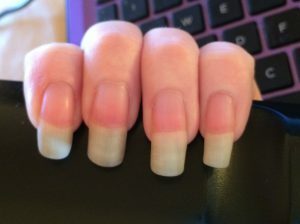 The only issue I did experience is that it’s slightly difficult to turn on and off if you happen to have long nails, which as you can see from the picture on the right, is an issue for me. However, I soon figured out a technique to do it, after all, if I can touch type with these puppies then there really should be no reason why I can’t turn a simple Luna on and off :). The Luna 2 is said to provide a deep cleanse while still being gentle on the skin. It uses 8000 T-Sonic pulsations per minute with 2x the power of the original Luna to unclog pores, exfoliate dead skin cells and remove almost all traces of dirt and oil. 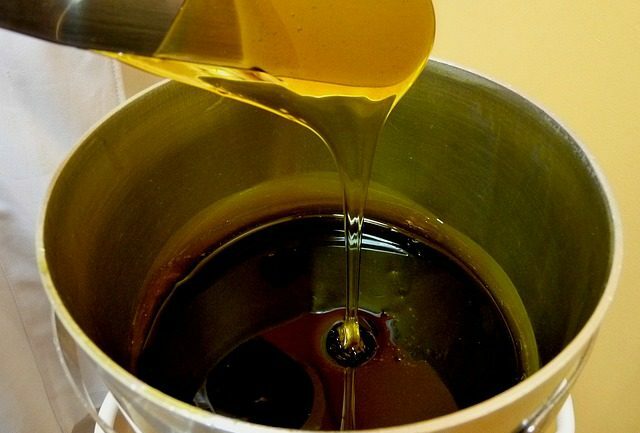 It has 12 different intensities of pulsation to suit your preference and its anti-aging side it’s said to help enhance the absorption of your skin care products. It’s touch points are longer and softer than the original Luna for extended reach and both the cleansing area and anti-aging area are 50% bigger than the original which means a more efficient cleanse. For its anti-aging mode, it uses lower-frequency pulsations to diminish the appearance of fine lines and wrinkles and leave skin looking firmer and more elastic. One of the most impressive features of the Luna 2 is its battery life. One full charge takes about 1 hour and that’s said to give you 450 uses which Foreo estimates to be just over 7 months of use from one single charge. I personally haven’t had mine that long but I can tell you that it’s been about a month and sure enough it’s still going since its first charge. The Luna 2 is also completely waterproof so it can be used in the shower or the bath. For best results, it’s recommended that you use your luna for 2 minutes twice a day, once in the morning then again at night with 1 minute for cleansing followed by 1 minute for anti-aging. The device is actually really simple to use because the cleansing process is broken down into 4 sections of the face each cleansed for 15 seconds and the device lets you know when to move to the next area. You simply apply your favourite cleanser (ensure all makeup is removed first), wet your luna device then cleanse each section of your face for 15 seconds each using the cleansing side of the device. The luna will stop pulsating every 15 seconds to prompt you to move on to the next section then pause 3 times after 1 minute to tell you that the cleansing process is complete. To finish, simply rinse and pat dry. Next, apply your favourite serums and moisturiser then using the anti-aging side of the luna, simply press the device against 5 different wrinkle-prone areas. These areas are between the eyebrows, the right temple, the right nasolabial fold (laughter lines), the left temple and the left nasolabial fold. It is recommended to spend around 12 seconds on each section then after 1 minute, the luna will again pause 3 times to tell you that the anti-aging routine is complete. 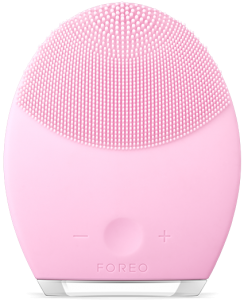 I have to be honest and say that the Foreo Luna 2 is a seriously good cleansing brush and it blows my Clarisonic right out of the water and for numerous reasons. Firstly the anti-aging mode was a huge selling point for me and I think if I’d have realised the Luna had this feature right from the get-go, I probably would have gone for the Luna right from the beginning. The Luna is also much more hygienic than other cleansing brushes because the risk of bacteria buildup is minimized by its design. I actually didn’t realise just how unhygienic regular cleansing brushes could be and how much they tend to hold on to bacteria regardless of how thoroughly you’ve cleaned them. There’s also no need for the extra expense of replacing brush heads every few months which is another big plus for the Luna. 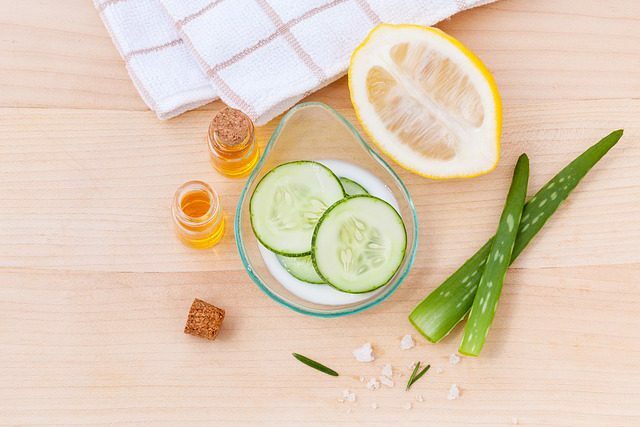 The whole cleansing and anti-aging routines are both very pleasant and it’s almost like having a gentle mini-facial every time you use it. The results have also been excellent, my pores look clearer and smaller, fine lines seem softer, my skin appears firmer and more toned and overall my complexion looks healthier, more even and brighter than it did before. If you’re thinking about investing in a facial cleansing brush then I definitely think the Luna 2 is one of the best ones out there. 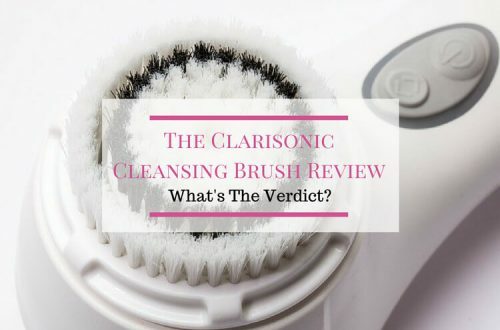 Even as just a cleansing brush I personally prefer it to any other one I’ve used so far but with the added anti-aging mode, that for me made it far superior to any other. So much so that I’m sorry to say that ever since the Luna 2 arrived, my Clarisonic has been sitting on the bathroom shelve gathering dust. One thing I would love to know is if anyone out there who is seriously financially secure (you’d have to be) has invested in the Luna Luxe which in case you don’t already know, is shockingly expensive (high 4 figures – I actually thought it had to be a misprint but it wasn’t). I’d love to know what kind of results you’re getting from it and if you think the price is justified. Or if you’d just like to share your thoughts on the regular Luna’s, please feel free to drop me a comment below.